Mr. Anselmo brings more than 30 years of experience in the banking and mortgage industries. 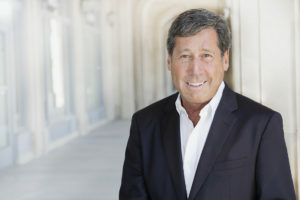 Prior to founding SigniaDocuments, Anselmo served as President and CEO of Mortgage Resource Network (MRN), a Business Process Outsource and technology provider to the mortgage industry which he founded in 1999. Clayton Holdings acquired the company in 2006 with Anselmo serving as a member of the executive management team. He left Clayton to concentrate on the launch of SigniaDocs at the end of 2006 at the request of past clients. Anselmo has held a variety of positions during his career, including Executive Vice President for a firm providing Due Diligence and Origination Support Services to the mortgage industry becoming the largest vendor to the RTC. He spent 15 years in the banking industry and served as a senior officer for an $87 billion bank holding company from 1982 to 1993. In 1990 he was chosen to manage the start up of the Credit Administration and Loan Servicing divisions of a newly formed subsidiary for the administration of failed bank assets, acting as a liaison to the FDIC. He also oversaw process re-engineering engagements of Accenture (formerly Andersen Consulting) while in the banking industry and later with DACOM after exiting the banking industry. He has been published in Mortgage Technology and Mortgage Banking magazines and has been a frequent speaker at Mortgage Bankers Association conferences. Anselmo graduated with a bachelor’s degree in Economics and Finance from the University of Texas at Dallas. He currently resides in Dallas TX.